Once again Herzog is putting on its massive food and wine festival on February 15th, 2012 (MAN I still cannot get used to that number) starting at 6PM. The festival is a great place to get to taste some of those wines that are either beyond your price budget, or hard to find wines, or ones that you pass by on the shelves because you just have no idea how good they are. They will be pouring more than 100 bottles of wines, so be sure to get there early, before the crowds show up. There will be a few new faces this year, with a couple of new wine makers showing up, and a few surprises (think new kosher wineries), from what I hear. Of course, there is also the food TO DIE for, from Mr. Aarons and his staff of insanely competent chefs! So please be sure to BUY your tickets here (coupon code below). The wineries pouring will include; Flam Winery (newly Kosher), Tulip (also newly kosher), many wonderful French brands, Goosebay, Teal Lake, Harkham, Barkan, Segal, Shiloh, Gamla, Carmel, Psagot, Domaine Netofa, Domaine du Castel, Binyamina, Morad, Capcanes, Ramon Cardova, Elvi Wines, Casa de Corca, Porto Cordovero, Alfasi, Yatir, Fleches de los Andes, Rashi, Bartenura, Weinstock and Herzog Wine Cellars… OVER 130 WINES WILL BE POURED! Tickets are going fast so grab one or more while you can. Like last year they will be pouring wine and spirits – from around the world. Last year they poured cognac and scotch, and the display/table was “well attended”. Here are my notes from lat year’s event! Please note the change of scenery! The event this year will be in Los Angeles BABY!!! That is right you heard me correctly! You do not need to drive 50 minutes to and from your home; rather you can drink and eat to your heart’s content, and then crash at one of the many rooms in the lovely Hyatt Regency Century Plaza! Herzog is working out a deal with the Hyatt and will hopefully have great deals for staying there on the website soon. The last four years that we have enjoyed attending this event it has been getting a bit more crowded each year. This year with all the room that the Hyatt has to offer, the hope is that there will be more than enough room to roam and taste the aromas of the world and the flavors of Todd Aaron’s world renowned Tierra Sur Restaurant. Please DO NOT worry, just because the event is at the Hyatt does NOT mean the Hyatt will be doing the catering, rather ALL food preparation will be handled by the incomparable staff of Tierra Sur Restaurant. The food will be prepared on the premises, just as if it was still in Oxnard! Yes, Yes I left the best for last. Herzog is giving out a coupon out for 10% off the ticket price – use the coupon (on the page after you add the tickets to the cart) KOSHER. Every year we go and every year we are so excited because it gives us a chance to taste the wines and to see what to buy for the upcoming holidays. 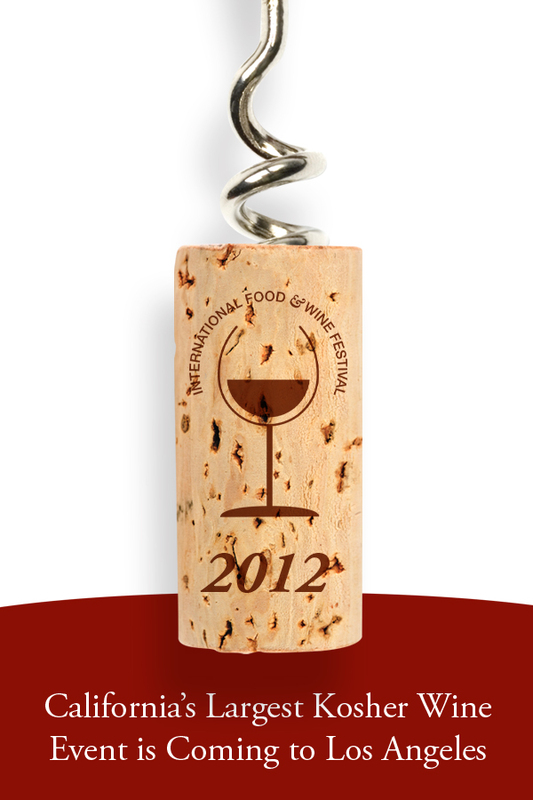 So grab you mouse and start clicking and we look forward to seeing you all the 2012 Herzog International Food & Wine Festival. 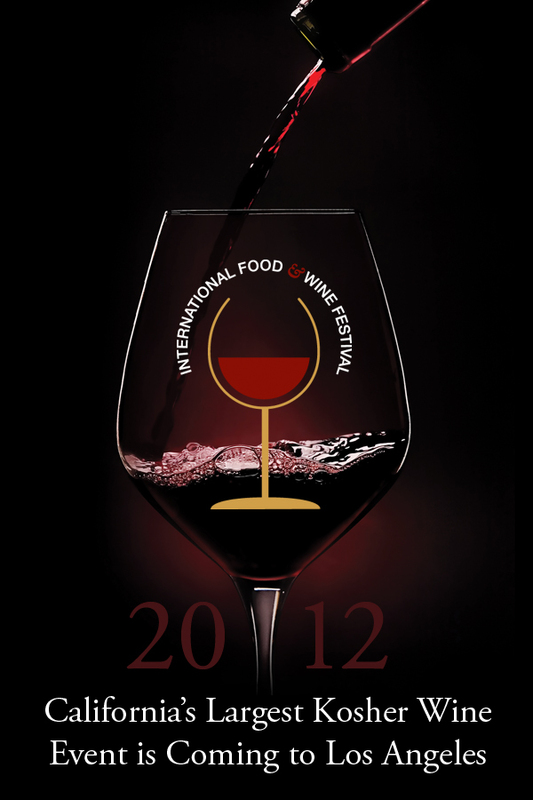 Join Herzog Wine Cellars in celebrating fine wines and cuisine at the 2012 International Food & Wine Festival. Year after year, this massive event has highlighted choice wines and spirits brought in from around the globe. This year’s festival is coming to Los Angeles, CA for the first time, and is the perfect place to taste amazing, rare and hard to find wines and spirits. More than 100 labels will be poured from Royal Wine Corp’s diverse international portfolio, all in the sophisticated setting of the Hyatt Regency Century Plaza. Posted on January 11, 2012, in Wine Tasting and tagged Herzog Cellars Winery, International Food & Wine Festival. Bookmark the permalink. 5 Comments.